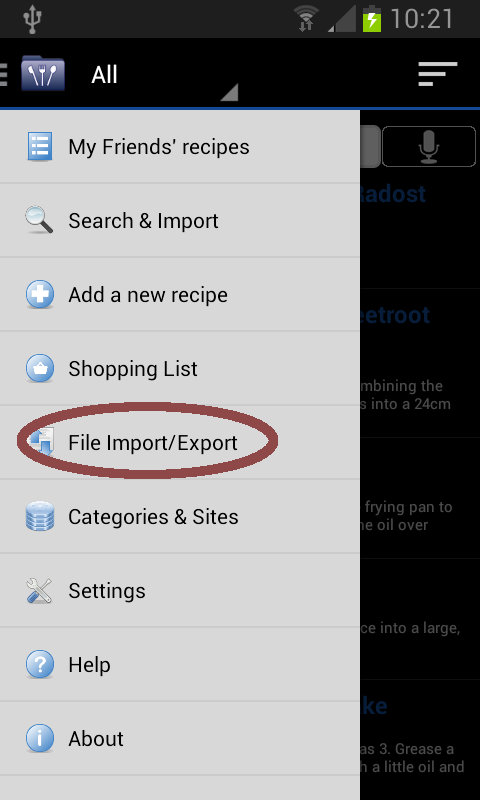 You are changing your phone and want to import your recipes on it ? First you have to backup your recipes on your old phone, and then import them on your new device. The easiest way is to use your dropbox account. 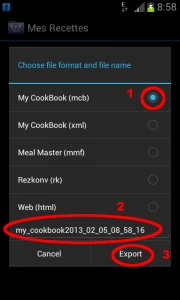 You can find on that page how to configure My CookBook to connext your dropbox account : Synchronize/backup your recipes with Dropbox. And click on the “Export to” button. Choose the .mcb format (it will contain your images). 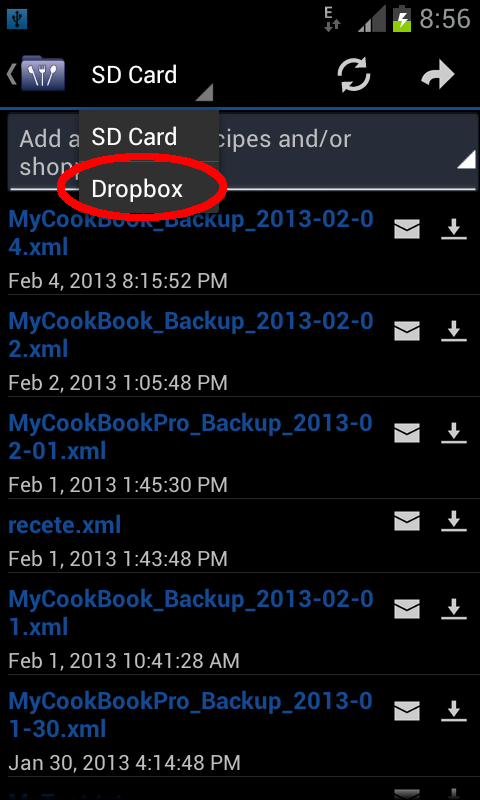 You can change the name of your backup file if you want. I am trying to transfer from one Samsung to another. I have tried your tutorial via the dropbox. I have successfully put an mcb and an xml backup file into the dropbox, but the “list of files” does not appear in the new phone. Hi, Could you check in your device settings that the “Storage” permission is enabled? Every time I try and export my recipes to put them on a new device I get an error. None of the options work. I’ve tried every combination. It’s been like this for a very long time. 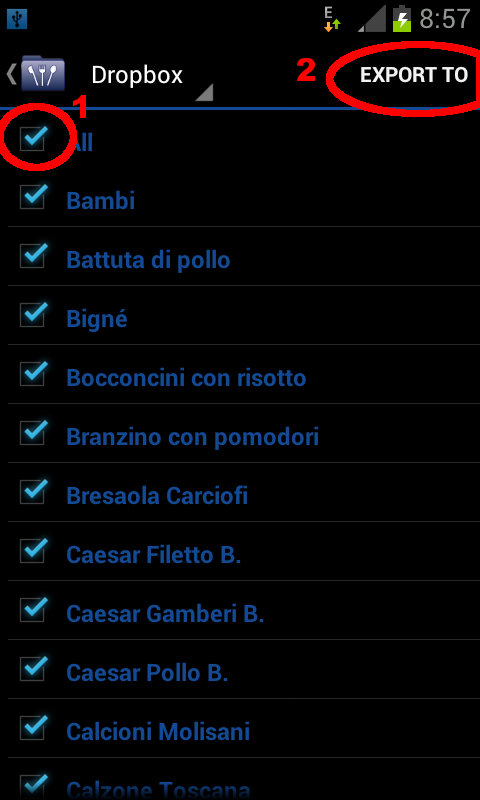 I purchased “My Cookbook Pro”..I have changed my device, and it’s asking me to purchase again ? 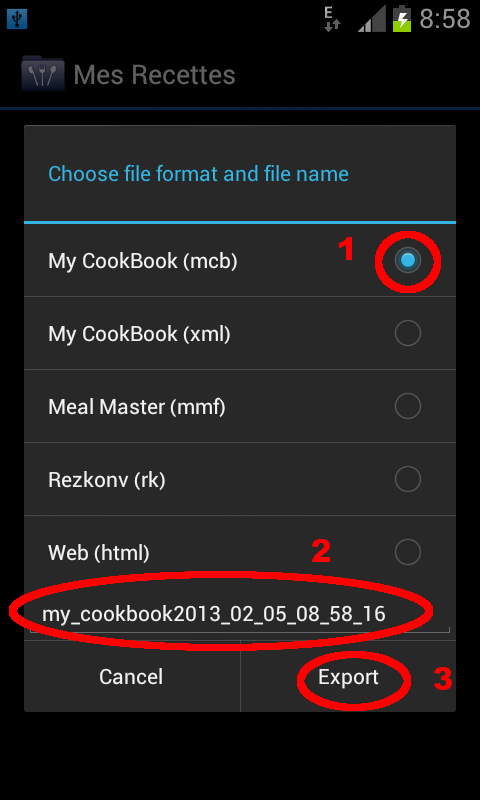 How do you delete the entire cookbook? 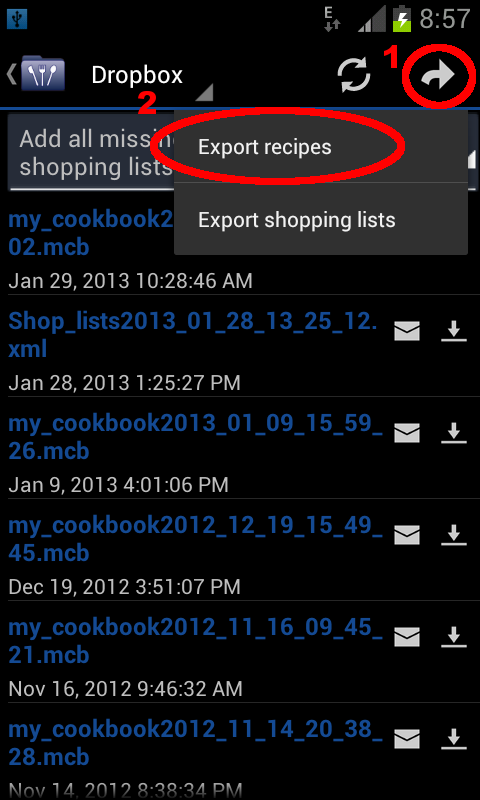 Even though I import with add new recipes, it continually duplicates the entire cookbook. I also can’t sync with Dropbox. 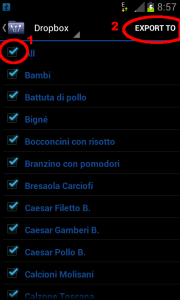 Hi, are you selecting the option “add all missing recipes” ? 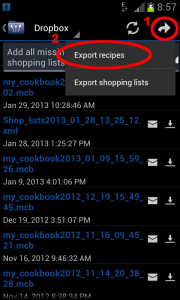 How can I import my word document recipes into My Cookbook? Just received an iPad air. Do you have your program compatible with my new iPad? Purchased on,Amazon, then uninstalled the store. Now it won’t let me run the app. Says I have to be signed in to Amazon to run. Goggle Play store says I have to buy it again. Is there any way to resolve this without reinstating Amazon? After import to SG2 the images are displayed and everything is allright now. Great, thanks for your feedback Ron ! 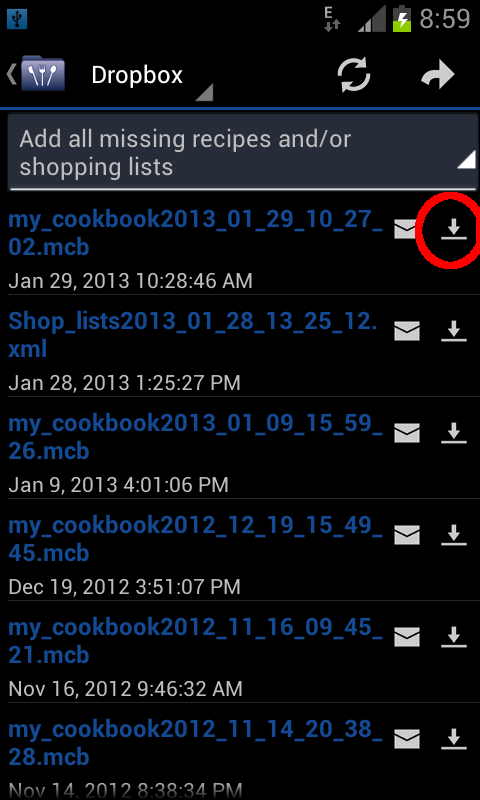 Have you checked the path of the images directory, in the settings of the app ?